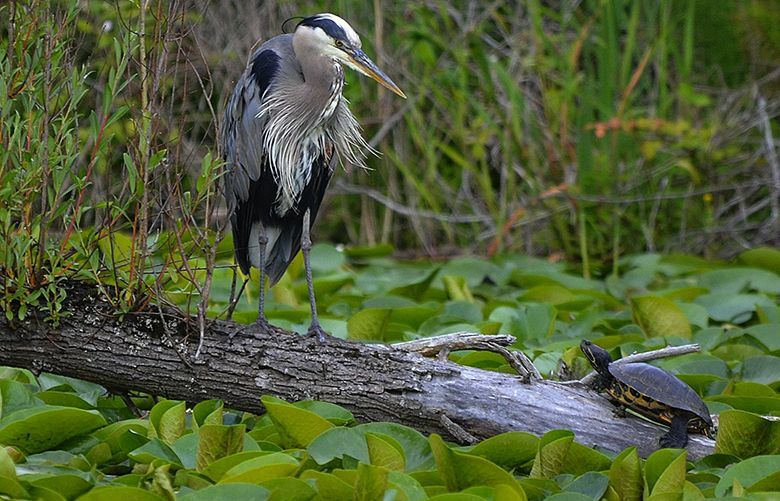 Photographer Edward Villacorta caught a heron and turtle eyeing each other at Union Bay Natural Area at the University of Washington. 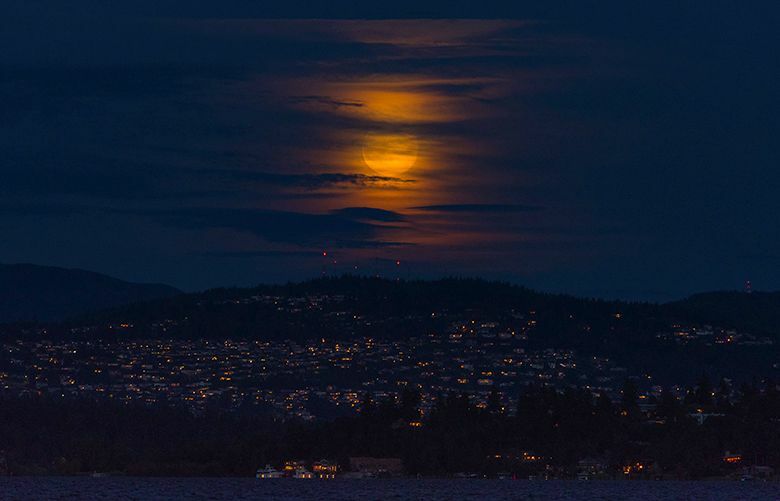 Seattle Times reader Dan Evans’ photo of the almost-full moon peeking from clouds over a twinkly Eastside neighborhood. 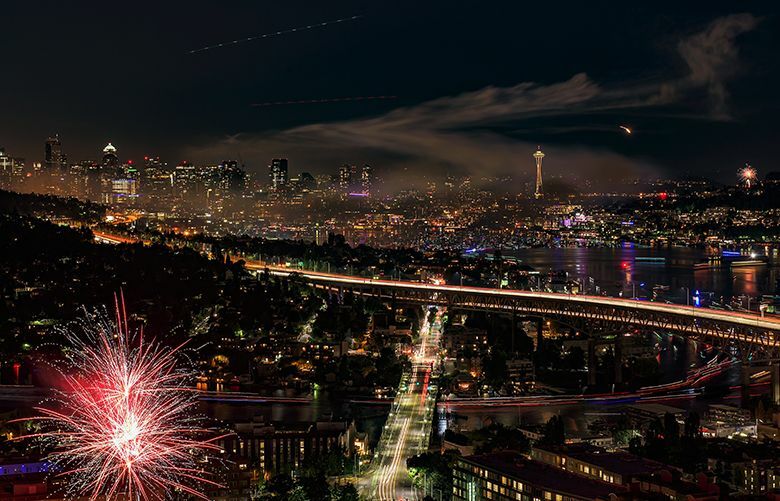 Seattle Times reader Tom Overlin’s photo of the smoky Seattle cityscape after the July 4 fireworks over Lake Union. 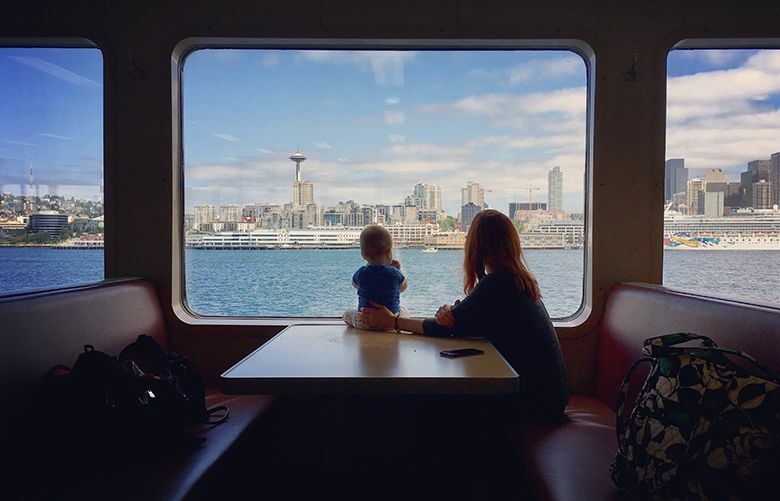 Bainbridge Island resident Jason Stowe’s photo of his wife and baby looking across the water to Seattle’s unique skyline. 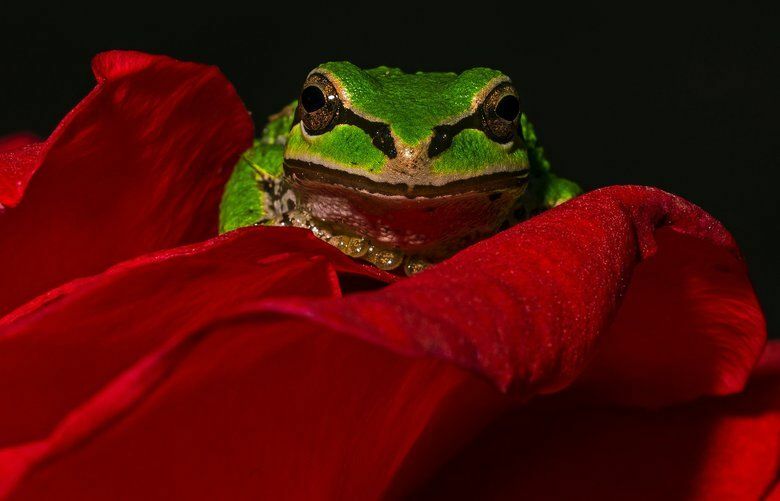 Seattle Times reader Jeff Seldomridge’s dazzling image of a green, green tree frog on a red, red rose. 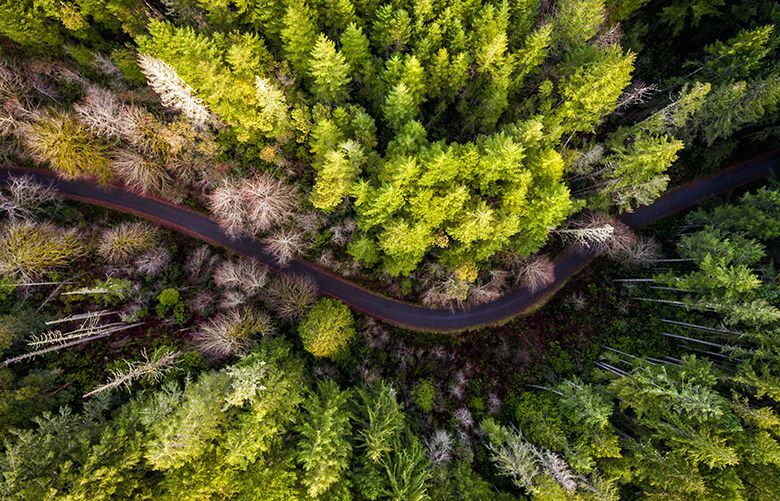 Seattle Times reader Dale Johnson’s aerial photo of a tree-lined road on Harstine Island, near Shelton. 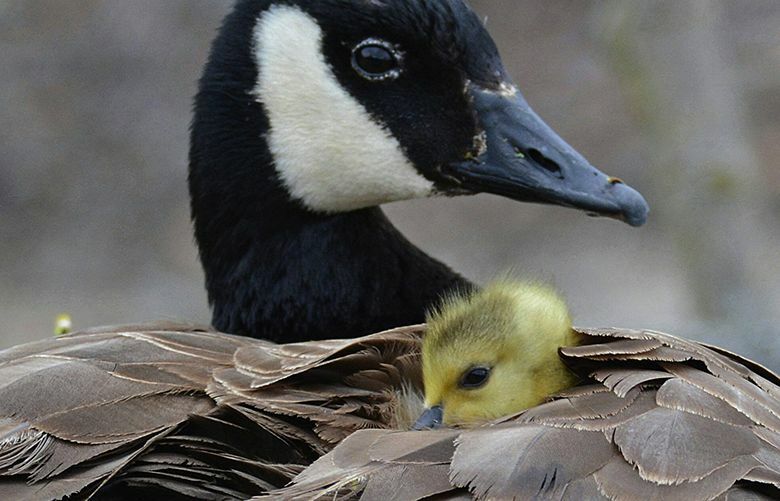 Seattle Times reader Mark Wangerin’s photo of a fluffy gosling taking shelter from a bald eagle.